Red or white, day or night these wine stoppers are fantastic for keeping wine from spilling and preventing oxygen from getting to, and spoiling, wine. 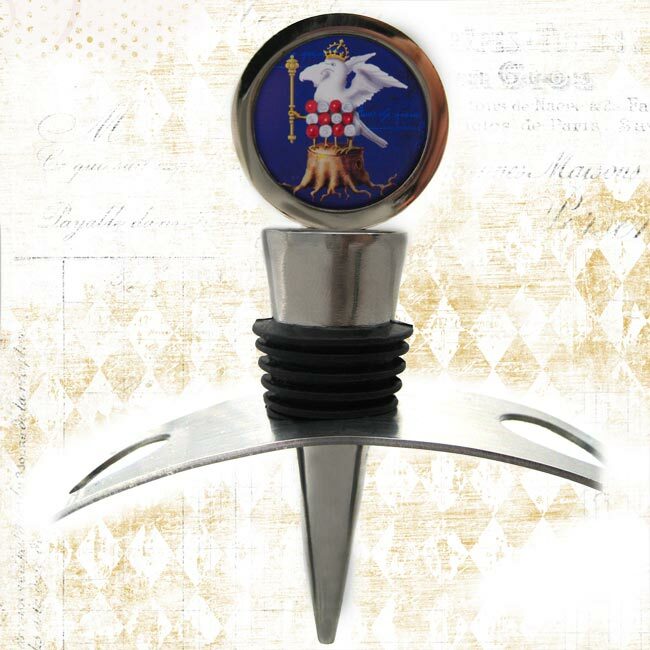 Plus while you enjoy your wine the falcon badge will remind you of Anne Boleyn! The image is our own recreation of the falcon badge depicted in Anne Boleyn’s very own copy of “The Ecclesiaste”, which was created for her by her brother, George Boleyn. Tiffini has used Anne Boleyn's signature in the background.